In modern day bathrooms it’s all about finding the space to accommodate for everything without one thing impacting on another; finding the right balance between luxurious cosiness and annoyingly cramped. 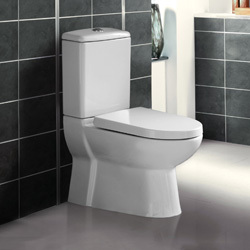 It’s usually the larger appliances such as bathtubs and shower enclosures that need to be considered when looking for ways to save bathroom space, but there are a host of modern toilets specially designed to give you bathroom the feeling of freedom it deserves. Here are the top three picks from The Bath House Online. It used to be one of the oldest rules in the traditional bathroom book – toilets do not go in the corner, at least not all the way into the angle where the two walls meet anyway, and understandably so; the cisterns of high and low level toilets were far too favourable and solid in their design to be tailored just to fit more precisely in a corner. Fortunately, corner toilets came along and now fit where a majority of other toilets can’t thanks to the triangular design of the cistern. This compact design also means less water is used per flush and they are ideal for small bathrooms where room for other appliances may be necessary. 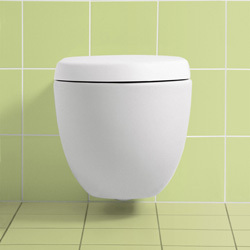 Say goodbye to the cistern, because with wall-hung toilets the tank that has become such a formality on all toilet designs, making them instantly recognisable, is no more. Well, not quite, the cistern still exists but is just simply boxed into the wall behind, giving the remaining toilet on show the appearance of a small stool unlike any other toilet before. This design is a popular choice for bathrooms added under the stairs so every inch of the small space is utilised if a wall-hung toilet is fitted where the ceiling slopes to its lowest; an impossible location for a basin or mirror. What’s more, having full support from the wall means that a gap is left between the bottom of the toilet and the floor. This means there are limitations on how much weight the toilet can hold, but it is also very easy to thoroughly clean all around. 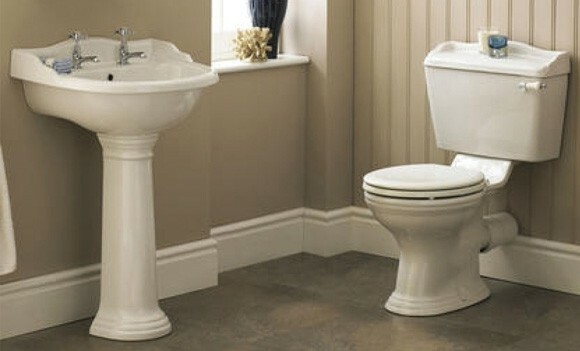 Two essentials of any bathroom are a toilet and a basin – that cannot be denied. But because of this they are somewhat shunted to one side with money splashed out on a stylish bath or shower to become the bathroom focal point. Manufacturers understand this, so to provide you with more of an opportunity to play around with the larger appliances, there is the handily designed 2 in 1 basin. In this design, the basin is fused into the top of the toilet cistern so you’re only ever finding room for one appliance rather than two. You can then either choose to have taps on the basin or a spout that pumps clean water through and then drains into the tank to help with flushing once you’ve washed your hands. When the tank is full and prepared for the next flush, the water being redirected to the spout stops flowing. Combining both really is an invaluable idea and, while it may not be how you imagined yourself washing your hands after using the toilet, it’s an innovative, hygienic design that certainly doubles up as a talking point. All toilets mentioned above can be installed with a dual flush option, if not already implemented on the model, to assist with water management and encourage green habits in the bathroom. The flush takes the form of a button split into two uneven halves where the smaller half results in a small flush, probably required more regularly, and the large half provides a much more powerful flush for taking away bigger bits of waste. Our store at The Bath House Online boasts a fantastic range of affordable toilets ideal for bathrooms of all sizes, shapes and styles. As the surge in demand for modern toilets continues, we are here to ensure you find the right design for your bathroom at the best price possible. For more creative ideas and inspiration, visit The Bath House Online today. Our online store hosts a fantastic range of affordable bathroom products and accessories fit for bathrooms of any size, style and design. Categories: Bathrooms, Home & Garden.